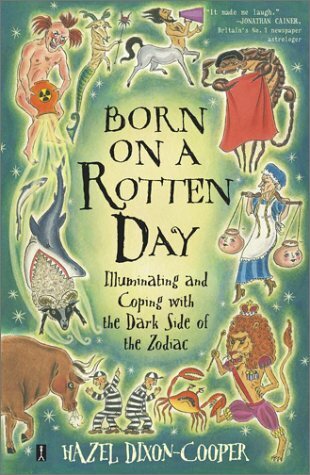 I've never really been into astrology but this sounds interesting! I do, on occasion, peek at my horoscope but noting more than that. But..I do love getting my daily snark in! I feel like at one point during my teen years, I was into astrology. That and dreams. Maybe more into dreams. Anyway, I probably would enjoy this just to see what it has to say about interactions between me and my friends. Although, I must say. As a Sagittarius on a date with a fellow Sagittarius recently, when it just wasn't clicking for me I did think "it's because we are both sagittarii (iuses?) and both like being the center of attention. Ha. 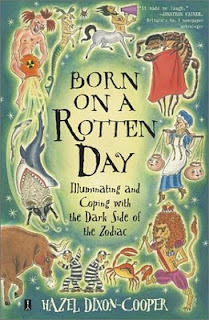 Born on a Rotten Day is a book I've wanted to read since I bought Love on a Rotten Day. I liked Love on a Rotten Day and want to see the differences in the format. I smell BS too on the Aquarius and Libras never having tussles....my mom and I have a confrontation or two! Your review made me want to read this book more than what the actual book is about! Haha. The fact that you made the point that some of it is B.s. because of it saying certain signs get along better with others and what not, made me want to see just how ridiculous it was. Plus, I also could use a good laugh!